Posted on January 11, 2019, 2:56 pm, by Tom Wolf, under Uncategorized. A few months ago, many of us in Berkeley had the good fortune of getting to spend some time with two producers who are relatively new to our portfolio: Fabio Altariva, of Fattoria Moretto in Emilia-Romagna, and Luca Marchiaro of Antica Distilleria Quaglia in Piedmont. At dinner, I asked Luca, who looks like Liam Gallagher, what his favorite Italian food is, knowing that asking an Italian this question is like asking Eric Clapton which is his favorite guitar to play. While our Piedmontese guest thought it over, visions of pizza napoletana, tortellini, pesto, and ribollita danced in front of me. Huh? Did Clapton just say that a ukulele is his favorite guitar to play? Luca must have seen my jaw dislocate because he quickly followed his answer with context. He explained that wartime poverty in Asti led one restaurant family to sacrifice its remaining, honorable donkey because the family did not have access to any other meat. Because asino is tough, they cooked it for several hours in a stew and inserted succulent spoonfuls into the classic pasta pouch. Delicious and a way to commemorate leaner, hard times, donkey ravioli lived on in this restaurant—and others in Piedmont—to the present day. Now, I have followed a mostly vegetarian diet for the last six years, but when Luca was done, I wanted to book a flight to Piedmont and try this dish right away! But what to wash it down with? The reds in our collection of Piedmontese wines would do very well, from Benevelli’s quaffable, versatile Dolcetto to Guido Porro’s exquisite Baroli—contenders for Value of the Century. 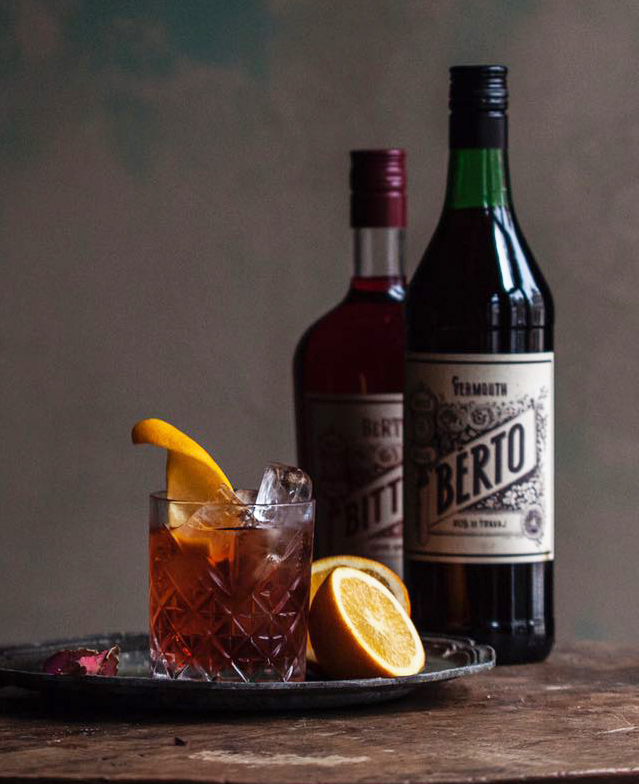 Just be sure to start your meal with the Vermouth Luca helps make. You can drink it straight or mix it into a variety of cocktails. My personal favorite is a spritz, using an Italian sparkling wine like Fattoria Moretto’s Pignoletto, a delicious alternative to Prosecco. If the ravioli don’t appeal to you, that’s fine. The wines of Piedmont are perfect for most fall and winter dishes that come to mind, from butternut lasagna to Shepherd’s Pie, and all your favorite stews and braises in between. Buon appetito! View the wines in our Guide to Piedmont collection here.